As somebody who has photographed weddings since 2007, I’ve seen massive changes in the way wedding videographers work. 2007, 2008 and most of 2009 seen for the most part guys (and yes, guys alone) using those big over the shoulder cameras, controlling nearly everything they shot, posing everything, having huge lights inside the church, and being generally hard to avoid at a wedding, and that includes walking in front of my camera constantly. Then something happened in 2009 – Canon released a camera that was revolutionary in that it was the same camera that I was using for still photography, but shot video on full HD, and you could use all the glorious gorgeous lenses that were available for my cameras! 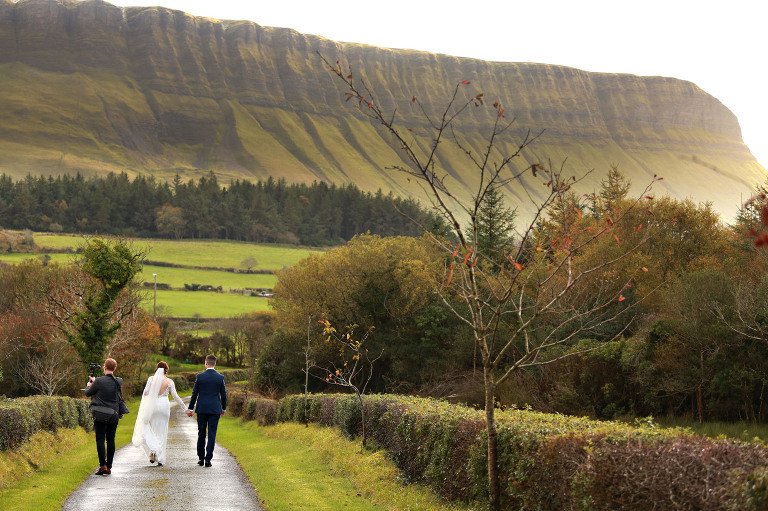 Although it was still another two years before I started to see a big uptake with videographers using these smaller cameras, the first few to use it, are still some of the top videographers shooting weddings in Ireland. The same guys & girls, now shoot weddings in a similar way to the way I shoot a wedding, mostly in the background, documenting the real wedding story and not faking everything. So while yes, like some photographers out there also, there are still old school videographers that will tell you what to do all day long. And I still do have to work with them sometimes during the year. When this happens, it doesn’t change the way I shoot, I just let the videographer do their thing, and I step back into the shadows to document the day and capture some relaxed portraits as always. However what the bride and groom will end up with is two different types of photography and wedding film. What I find quite a bit these days is either a couple that has just booked me, or even just a potential couple, ask me for a recommendation for a videographer that I’ve either worked with, or whose style is similar to my own. And that really is a good thing, as you do really want your photography and videography to compliment each other. I have a recommendation list ready of a few different suppliers, who obviously range in price, but whose work really does compliment my own photography, and equally important, that they are great people to work with both from my perspective but also from the couples perspective. I’m all for helping out couples, so whether or not you book me, just let me know here if there’s anything I can help with or recommend by contacting me here. Another thing to consider when choosing a videographer is how many people they have working with them. A lot these days work in pairs. And for someone like Gavin from Dreamcatcher, that is no problem at all, especially when working alongside him, as his second shooter is always clued in and knows what they are doing and is very conscious of how I am working also. On the flip side of that you have Niall from Complete Weddings who is the absolute best of the best working multiple cameras during the day on his own. Somehow he can film with three cameras in the church, yet not one of them are in my sight line when I’m shooting…that’s skill and respect for what I’m doing also! That’s Niall in the two photos above, and the shot below is Gavin. If you have any further questions or anything, or if you would like a recommendation of a wedding videographer please contact me here! I’ll then forward on my recommendations, which will include Complete Weddings and Dreamcatcher, but also a few others of course. 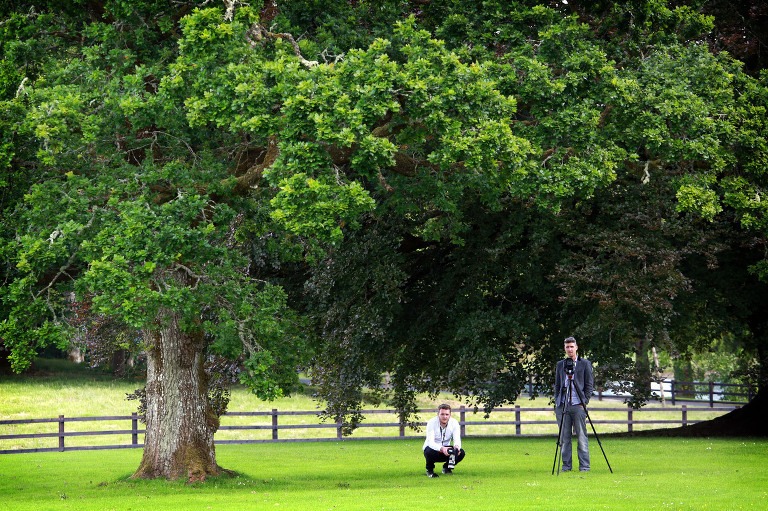 And like choosing a photographer, always make sure to see a full, start to finish, wedding film if not two of them. It’s pretty easy to go to a wedding and put together an amazing 4 minute highlight clip, but it takes a great videographer to put together a properly finished full film! !